Make this evening special by sending this special wish to your love. 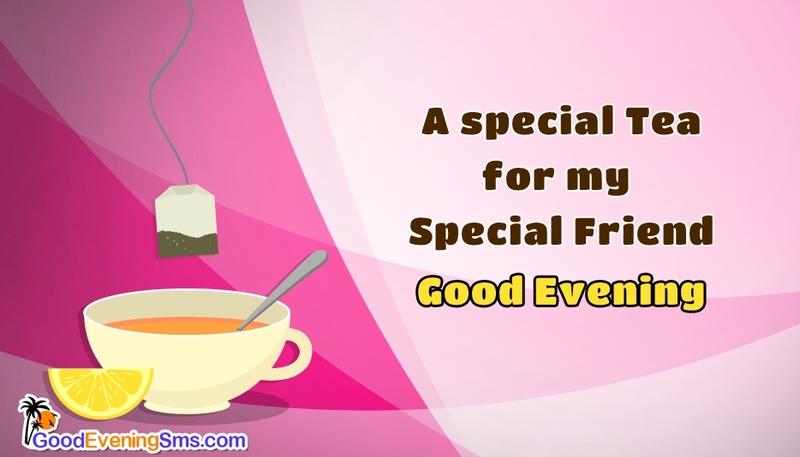 This picture holds the portrait of a cup of tea with the wordings "A special tea for my special friend, Good Evening". A wish or a message to your dearest person make him or her feel like heaven and you too feel the same way.